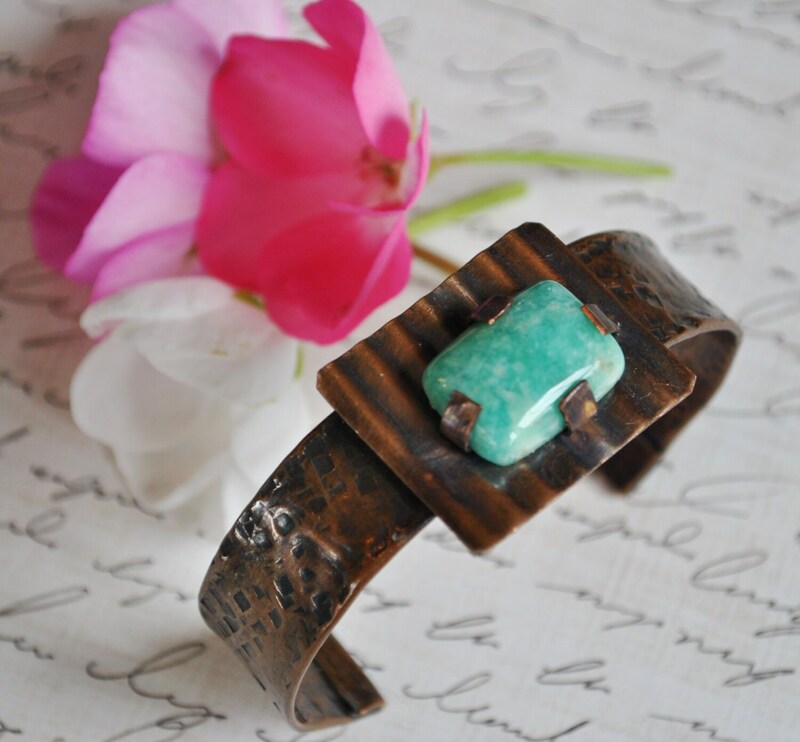 Handcrafted rustic copper cuff created by hammering, torching, drilling, filing, and adding an antique patina. 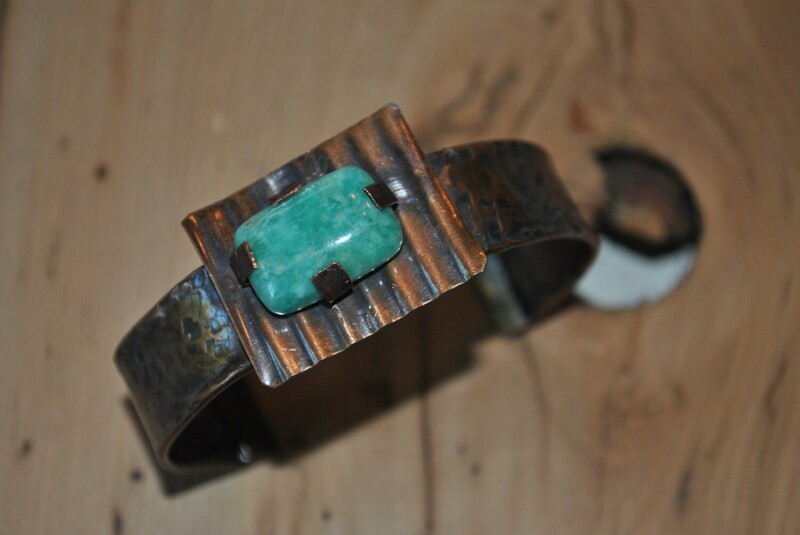 A teal Amazonite stone has been attached through the use of riveted prongs. A corrugated rectangle of copper accents the stone. 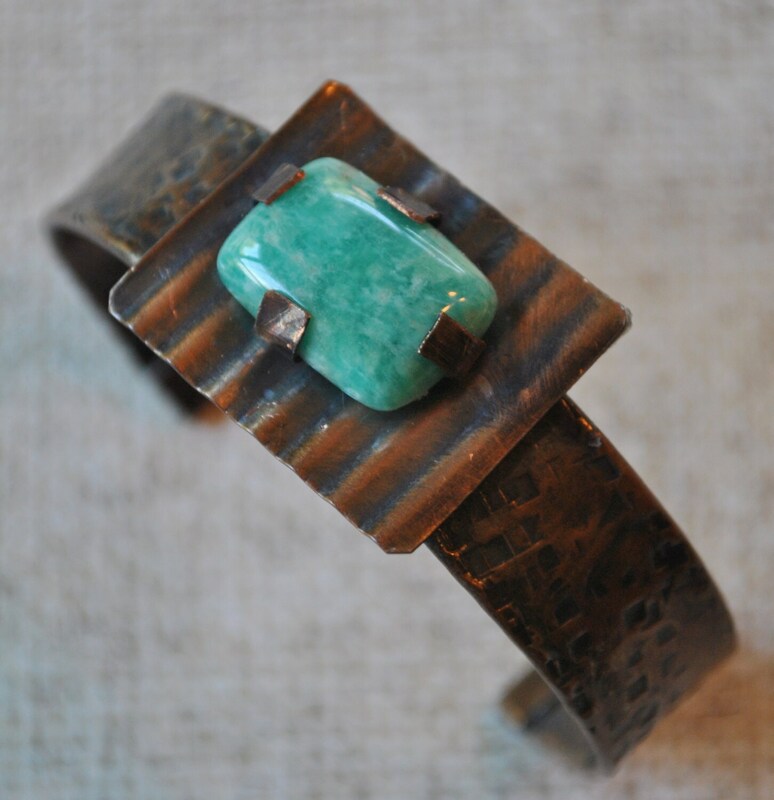 The inside of this bracelet has been treated with acrylic to prevent tarnish on your skin. The bracelet has been tumbled for polishing. Great with jeans!